Thanks for your time and I hope you enjoy this one page free download taken from 'Baron' and featuring the 15mm scale personality miniatures from IAF158 released this month. 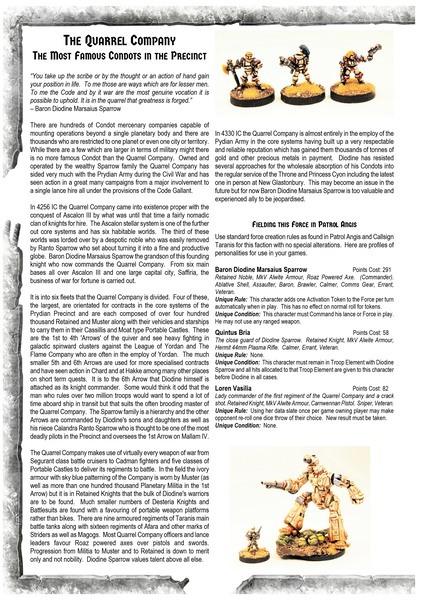 You will need your copy of Patrol Angis to make use of this download. 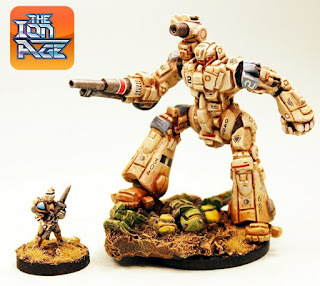 Additionally this weekend from now until 16th April there is Free Worldwide Shipping on all Ion Age orders placed of 15GBP or greater plus Three Free Miniatures in every order (worth 2.50GBP) as well as your Reward Points; see this blog article HERE for this in detail. Our new releases for April are now online and they are three packs of personalities, nobles and marcher barons for your Prydian Army or other forces see them on our website HERE. Thanks! The Quarrel Company and Diodine Sparrow Download this one page extra from the in progress forth book in the Patrol Angis series 'Baron' from our website by clicking HERE. 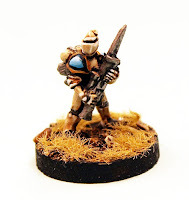 Field Diodine Sparrow with this article containing background, organisation and Patrol Angis Game Statistics for the most famous mercenaries in the Precinct; the Quarrel Company. Use miniatures from the Prydian Army HERE or Prydian Vehicles HERE for your Quarrel Company force plus the new IAF158 pack of named personalities. 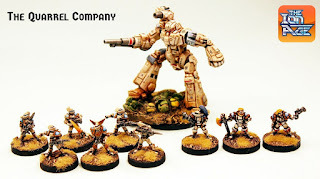 The Quarrel Company is my own personal force in the Patrol Angis game which I field in play. To that end I have amassed two lances of Retained Knights and Afara Striders to use. Here are pictures of them and they were painted by Sam Croes (I can barely hold a paint brush!). 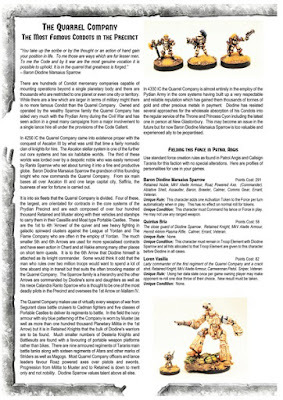 If you want to hear about our other news for April thus far please look HERE on the blog for information on Patrol Angis being back in stock as well as our month long 25% off deal on 20mm round bases and being able to get the great poster 'Uniforms of the Prydian Precinct' as a paid for download now (Quarrel Company is number four on this poster). Later this month we will have a free full length Patrol Angis scenario. Here is some information upon it. In the Name of the Roaz - 26th April. This free full Patrol Angis scenario sees the Quarrel Company travel to Mallum IV on the request of the reclusive Baron Abbo for a mysterious task only to be dropped into the midst of a new planetary war between the League of Yordan and invading League of Canlaster forces. 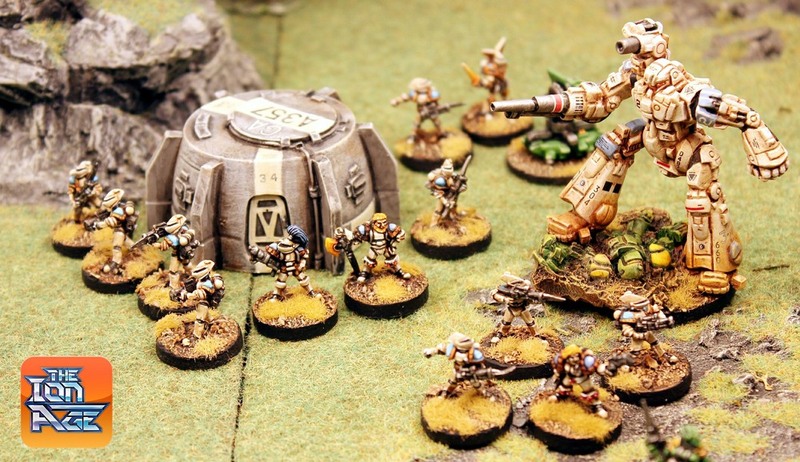 Abbo is dead but it turns out there is a data slate of incredible value which the small Quarrel Company detachment must sneak out of the Baron's underground hab complex..but will they escape before the Leagues bring the place down around Diodine's head?